DATA_Noise is not a choreography accompanied by the music but a electronic music played in live. One of the techniques used is the use of a very slow dance which the microscopic movementswill use to inject instability in the process. 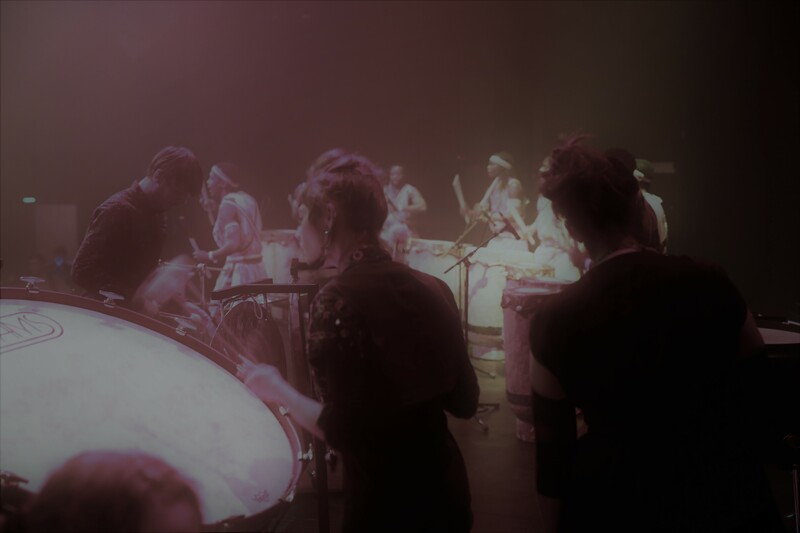 On stage, about 10 percussionists bright a delicate sound matter to live, stretched sounds, plush atmosphere. This new trio percussion, bass, voice and electronic music try to push the sounds beyond its boundary’s. They build a composition while using classic instruments but at the opposite extreme of rock trio.